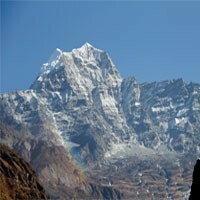 There are variations in the level of difficulties and altitudes in Nepal. Based on the region and trips, a trip grade can be divided into five different categories. Basically, it applies in trekking, peak climbing and expedition. The easy grade is if you do not find any difficulties to trek. The trip reaches up to 3000 meters altitude. The trails will not be rugged and these types of treks are highly suitable for family trips. The trips are generally around of 1 week. Moderate or Grade B trips include 1 week to 15 days itinerary. It can reach up to 5000 meters altitude range, but the trails will be moderate (nor easy, nor tough). High altitude may matter on walking speed and distance. You need to have acclimatization over 3000 meters. Strenuous trekking grade is both moderate and difficult. Even in this grade, treks reach around 5000-5500 meters. You walk generally 6-7 hours every day. Strenuous treks require good physical condition and acclimatization. if some problems appear, you have to walk down and take some hot drinks or soup. You may get affected fast if you have high blood pressure, asthma, heart disease or complicated medical conditions. Very strenuous trekking covers 4000 meters to 6000 meters. No doubt, your physical fitness and acclimatization are essential. It is said that generally, you walk about 7 hrs every day, but the altitude becomes obstacles and it is really tough to walk that much. You have to cross the Himalayan passes using basic climbing equipment. Even the trail is steep and slippery. 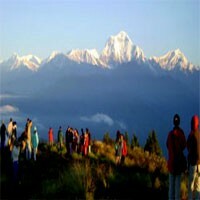 Technical Challenging Trekking grade is for those who really love to do extremely adventurous treks/trips. 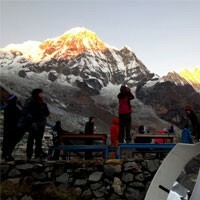 Its elevation reaches up to 6000 meters and consists 15-25 days itinerary. It is not less than peak climbing.